The team grinning ear-to-ear, glowing nearly as much as their award! 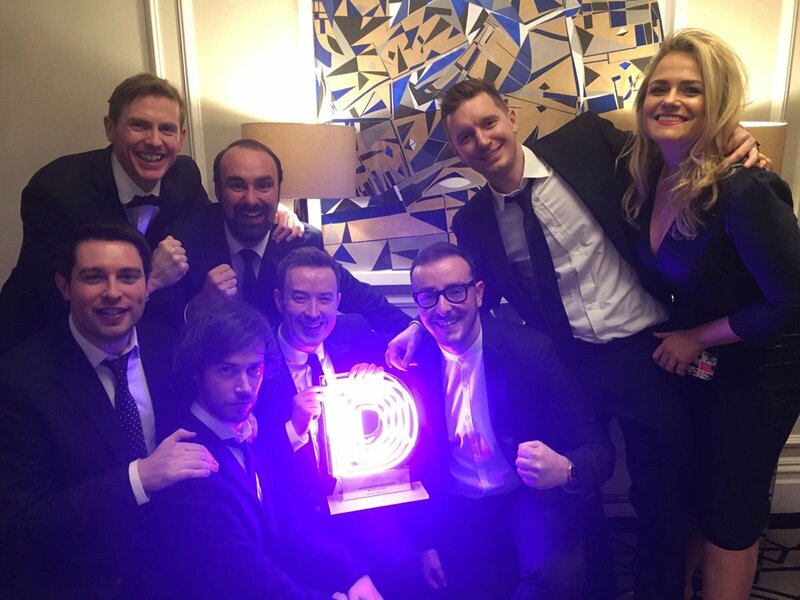 On Thursday, December 1st 2016, no less than two days after our hugely successful #TRANSFORMATIVE event in Dublin, team JOE made its merry way across the Irish Sea, to attend the Digiday Awards Europe, where they picked up the gong for ‘Best Use of Social’. The award recognises best use of social media that engages fans, creates loyalty, builds and maintains audiences, and tells meaningful and engaging stories across all owned social platforms. Up against global brands including The Economist, Sky News and Beats by Dre, JOE’s nomination was for the phenomenally successful work the team did across all owned social channels for the 2016 Euros. JOE created some of the most unique and innovative content, and shared a multitude of original and incredibly memorable user-generated stories over the period of the tournament. Some of the content managed to travel far beyond Europe, to the four corners of the globe, appearing in hundreds of publications across print, online and broadcast. This is the first time in the history of the awards, that an Irish publisher has been nominated and won an award at this event. Congratulations to the incredibly talented and dedicated JOE team!